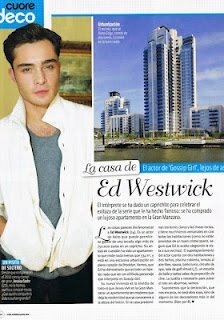 halaman awal sweet Home- Ed's apartment in Brooklyn. . Wallpaper and background images in the ed westwick club tagged: ed westwick 2012 magazine article. This ed westwick photo contains kawasan bisnis, pusat kota, distrik bisnis, downtown, potret, headshot, and closeup. There might also be koran, kertas, majalah, tabloid, kain, and rag.